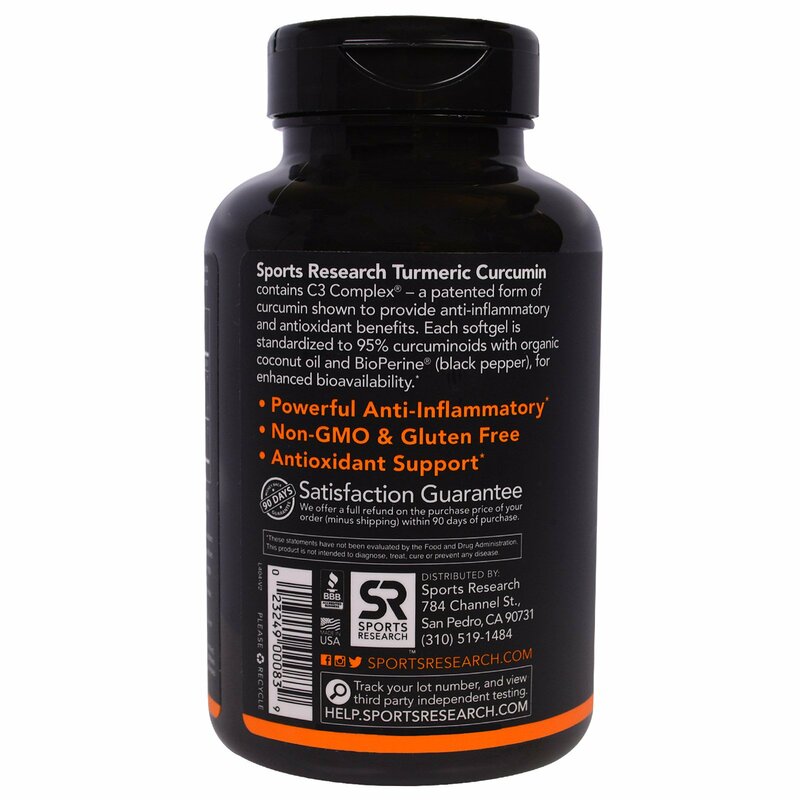 Sports Research Turmeric Curcumin contains C3 Complex - a patented form of curcumin shown to provide anti-inflammatory and antioxidant benefits. Each softgel is standardized to 95% curcuminoids with organic coconut oil and BioPerine (black pepper), for enhanced bioavailability. 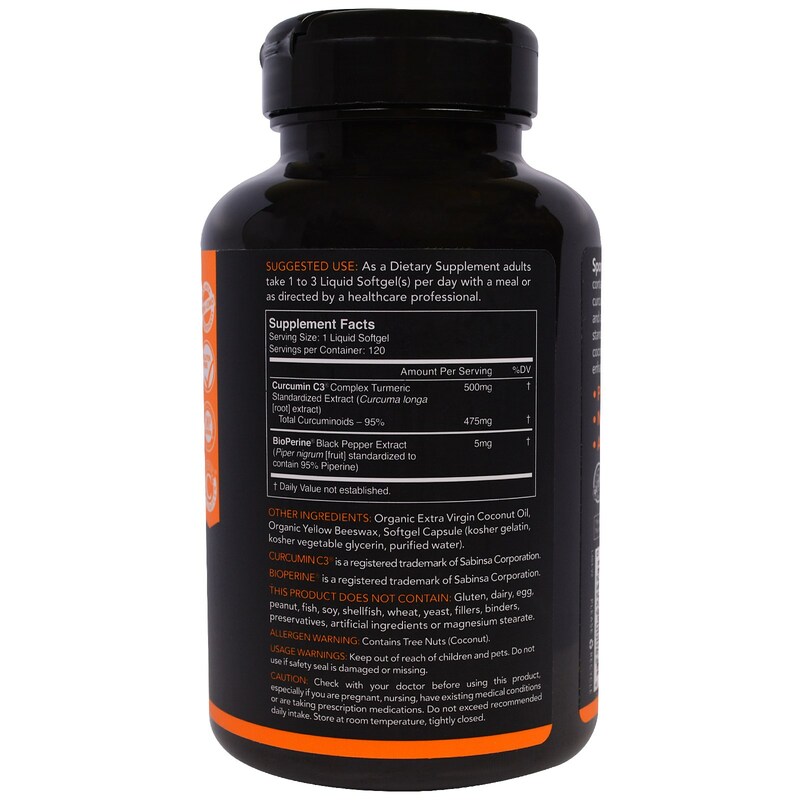 As a Dietary Supplement adults take 1 to 3 Liquid Softgel(s) per day with a meal or as directed by a healthcare professional. Organic extra virgin coconut oil, organic yellow beeswax, softgel capsule (kosher gelatin, kosher vegetable glycerin, purified water). 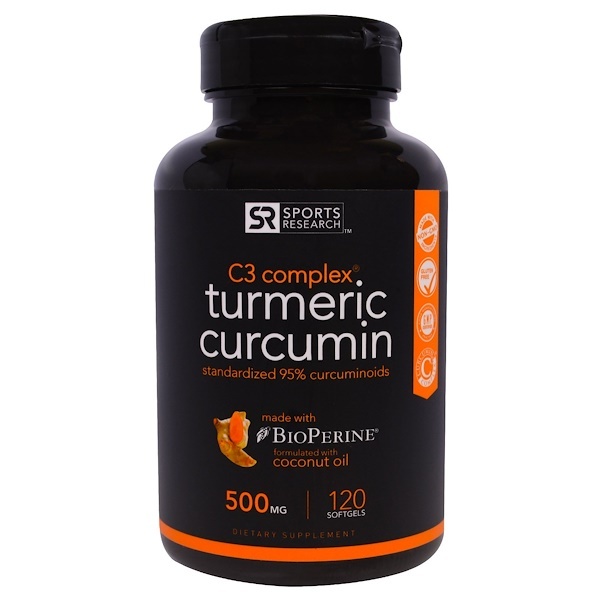 The product does not contain: Gluten, dairy, egg, peanut, fish, soy, shellfish, wheat, yeast, fillers, binders, preservatives, artificial ingredients or magnesium stearte. Allergen Warnings: Contains Tree nuts (coconut).